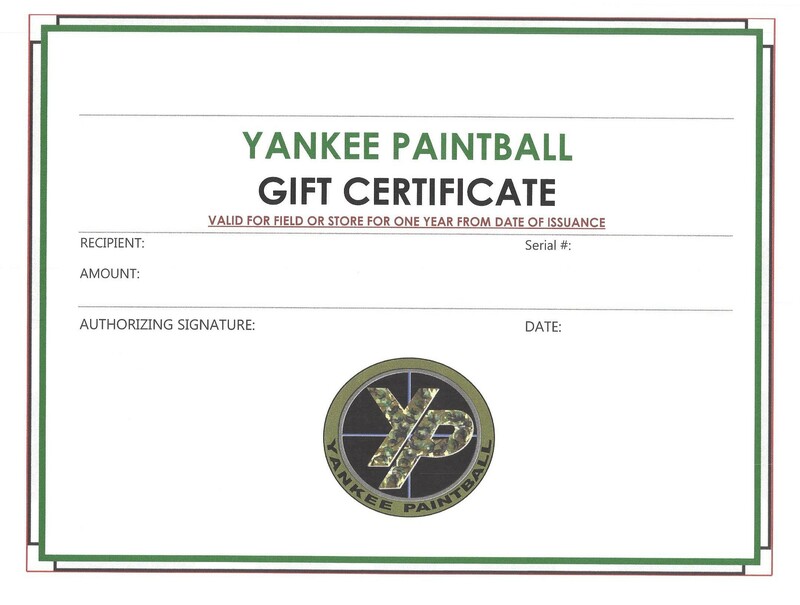 the best paintball gift is a gift certificate to a paintball field and store. Gift Certificates also available for player packages (admission/rental/500 paintballs & admission/rental/2000 paintballs). Tax is added when buying player packages. Gift Certificates Can Be Picked Up, E-Mailed or Mailed.